But, let’s say you wanted to connect an Android phone to your computer — you’d need to make the Android phone discoverable. 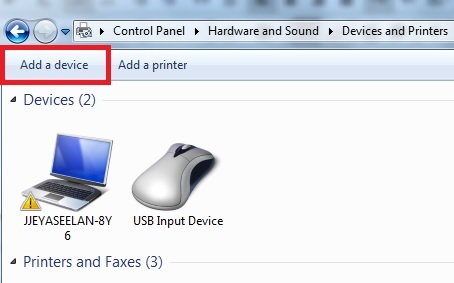 Under Device and Printers click > "Add a device"
Take note of the taskbar area as it will show "Installing drivers" and a notification that there is a Bluetooth device connecting to the laptop. 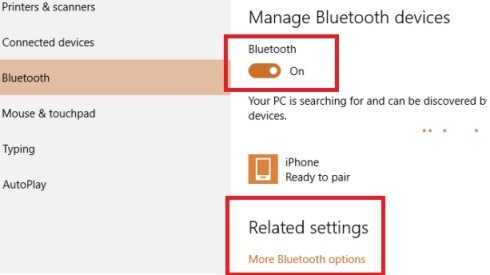 Double click on the notification then enter the paring code for the Bluetooth headset. 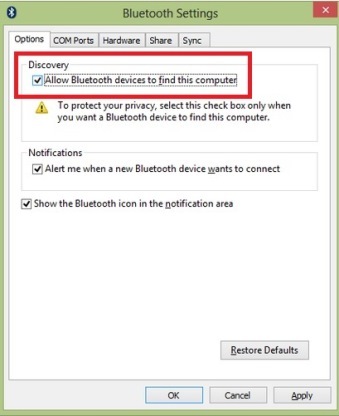 Once the correct code is entered there will be a notification that the Bluetooth is successfully paired with the laptop. (Default paring codes are 0000 or 1234, if you are getting an code error, invalid paring code. 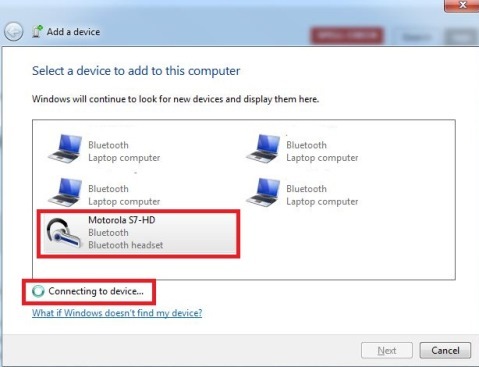 Please check with the Bluetooth headset manufacturer). 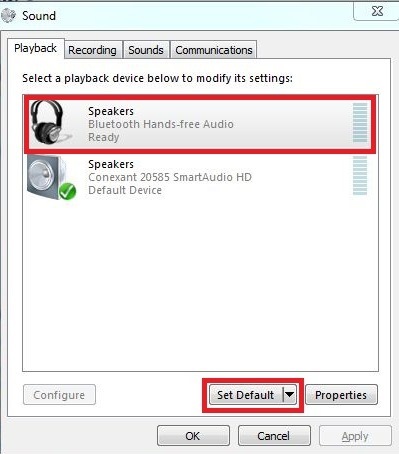 Select the "Speakers - Bluetooth Hands-free Audio" then select "Set Default". Close all previous opened media player and reopen the player then select the music you want to listen.